Studies showed that a distraction period improves complex decision making relative to a conscious deliberation period or an immediate choice. Although this counterintuitive finding was replicated several times, many other studies failed to find any beneficial effect of distraction and some even showed situations in which conscious deliberation was more effective. We suggest that studies showing a conscious thought advantage share several features that may have fostered the encoding and the retrieval of precise verbatim representations of the choice alternatives. The effectiveness of conscious deliberation could thus depend on the availability of verbatim memory. To test this hypothesis, we varied the availability of verbatim memory for the attributes of various equivalent alternatives by introducing, for half of the participants, a time delay between the presentation of the alternatives and of a fictitious client request that provides a normative criterion to evaluate them. Verbatim memory declined, whereas gist memory increased in the delay relative to the no delay condition. Moreover, there was a detrimental effect of delay in the deliberation condition but not in the distraction and the immediate decision conditions. 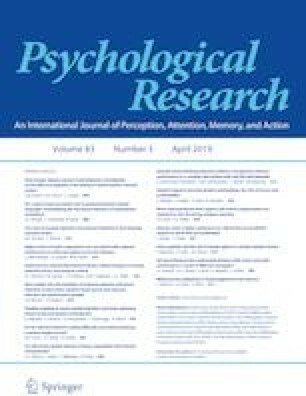 Both verbatim memory and decision quality after deliberation were affected by the introduction of a delay which suggests that verbatim memory underlies conscious thought effectiveness.